Ava Frid’s "Mira" dress is a bold and elegant dress, created for those women who want to feel both delicate and sensual, as well as strong and independent. This style perfectly emphasizes the shapes of the body, revealing, when viewed from the back, a deep neckline to the waist area, a décolletage finished around with a frill made of creases, that gives volume and personality to the dress. 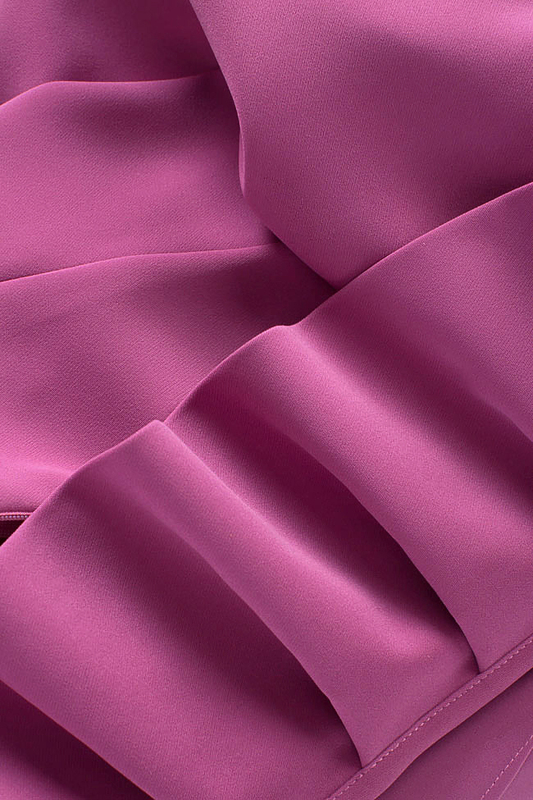 This frill is also found at the end of the skirt to provide ease to the wearer. Wear yours with high heels and self-confidence.